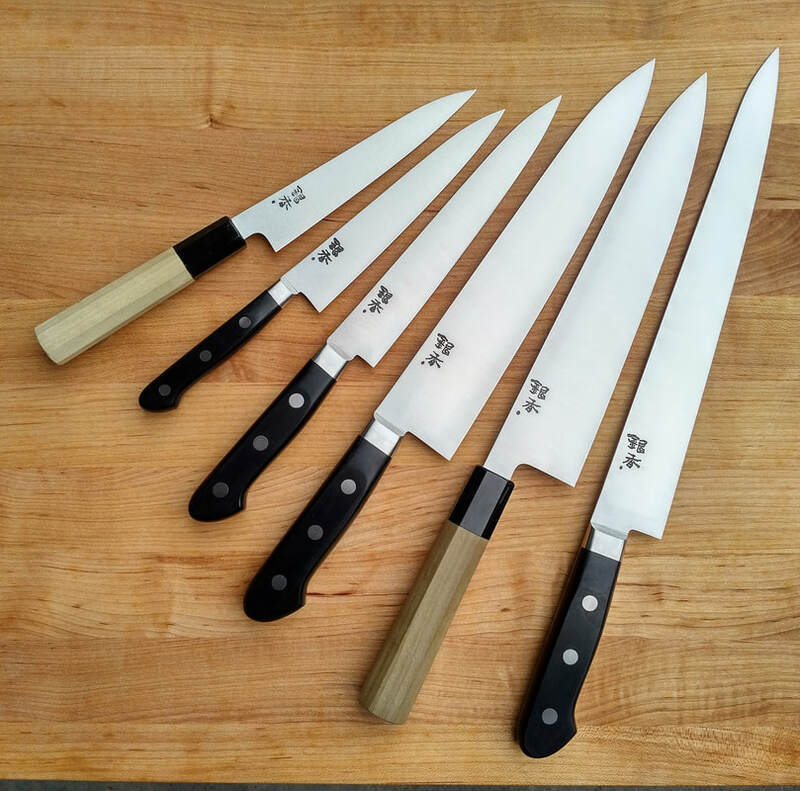 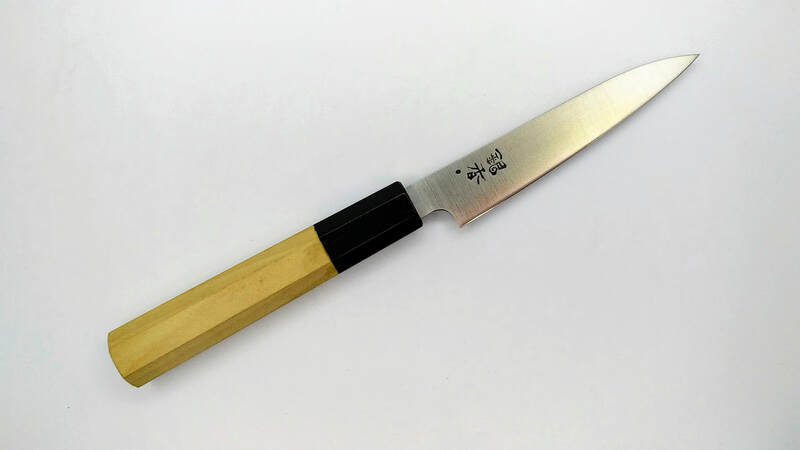 The Ginga series in AEB-L Swedish stainless steel, is a line of knives by Ashi Hamono known for their laser convex grinds. 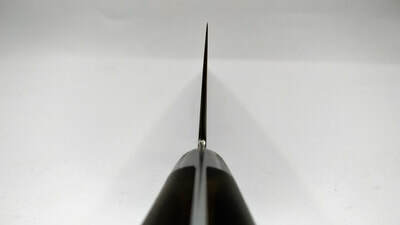 The sharpened bevel is thin and barely visible. 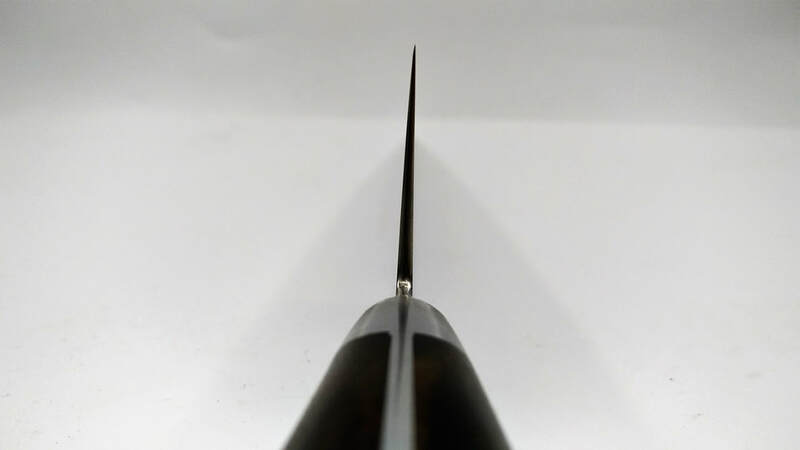 This demonstrates how thin the profile is. 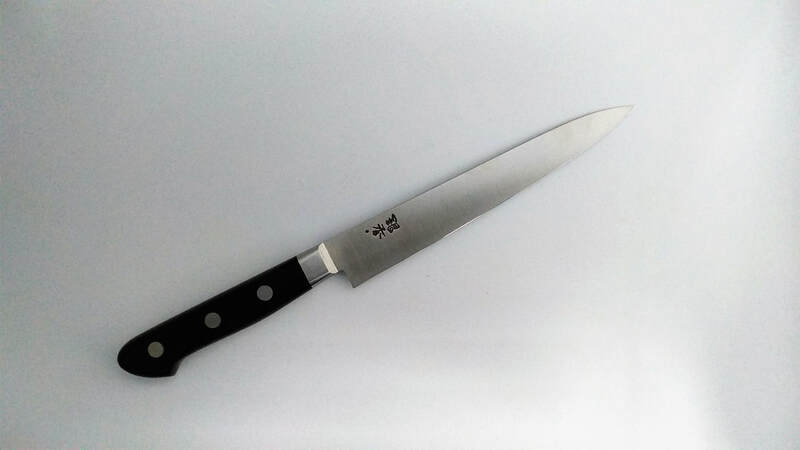 A real onion killer for destroying 15kilos of onions and more! 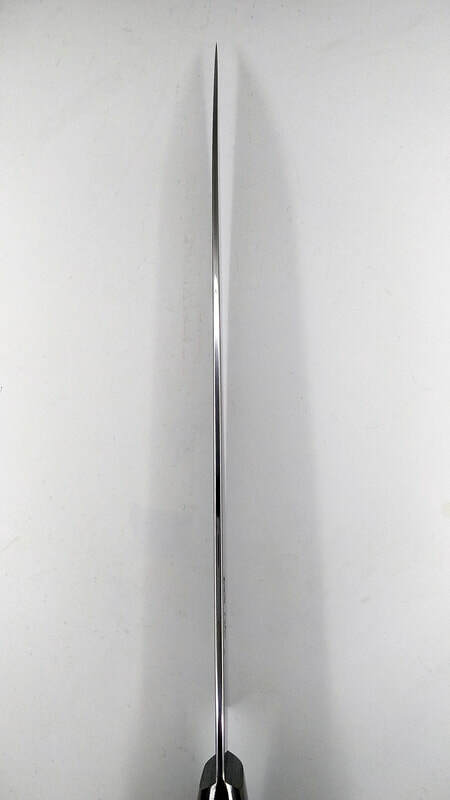 Tapered blade profile despite the thin blade design. Notice the very small bevel is only possible as a result of a thin blade. 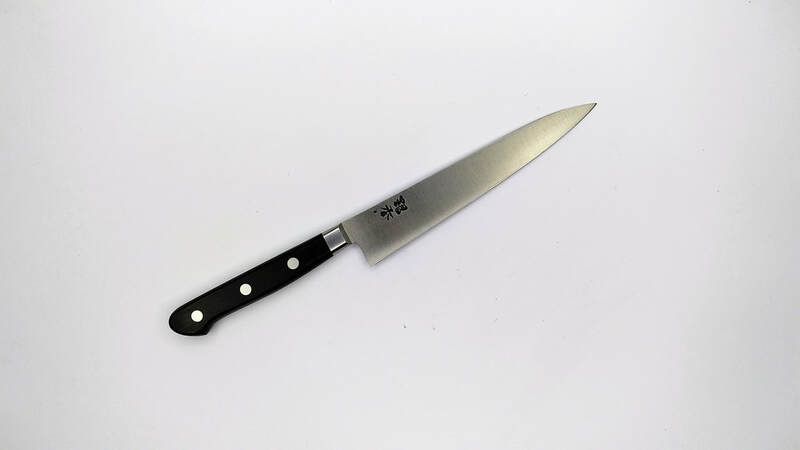 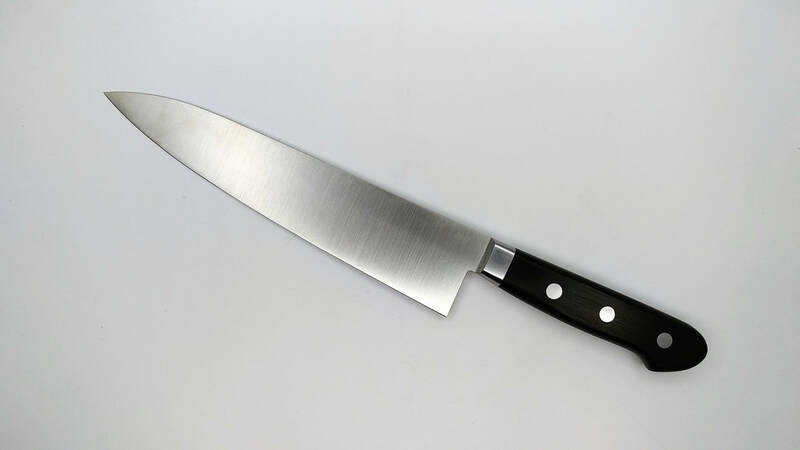 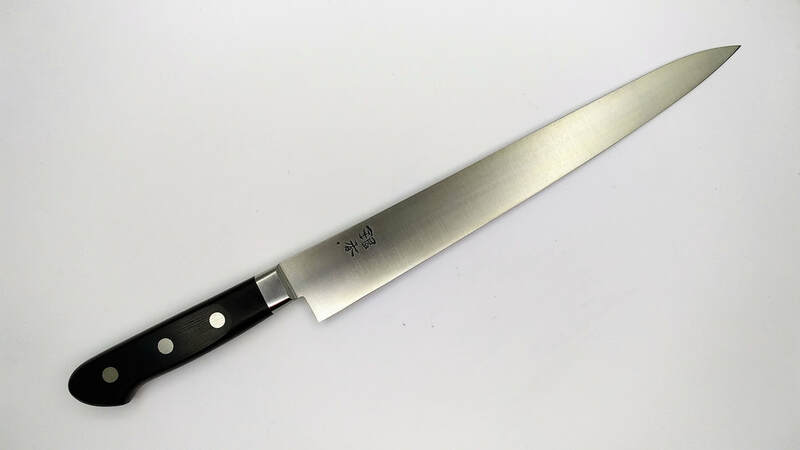 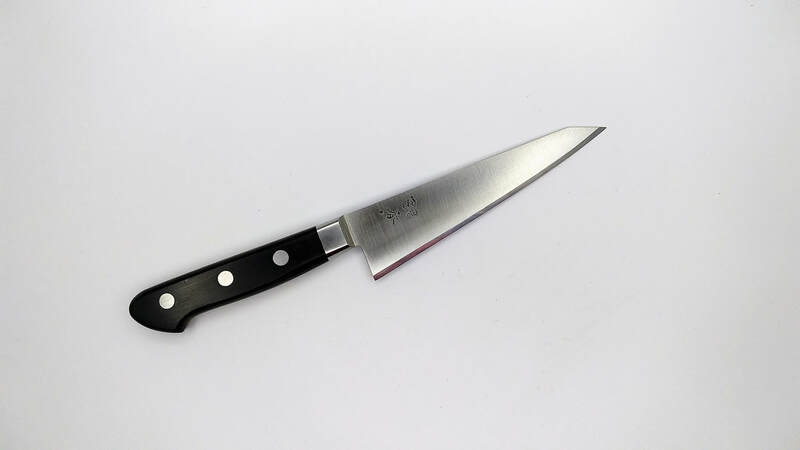 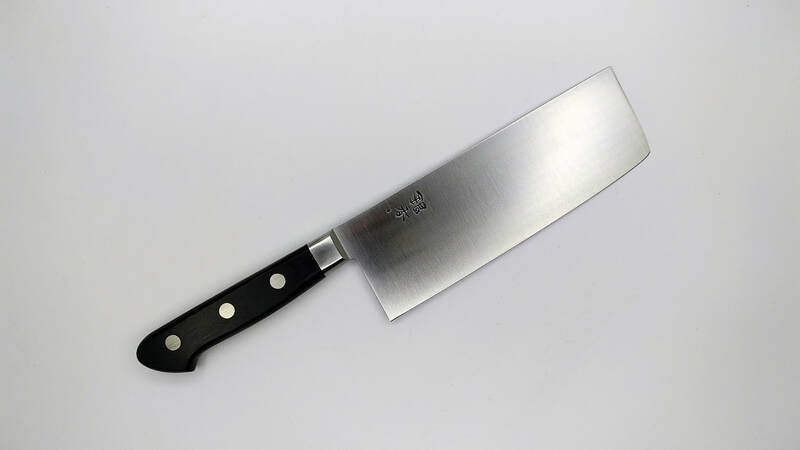 AEB-L is a stainless steel that is capable of having a high level of sharpness that is close to carbon steel, due to its clean Swedish ore, fine carbides and ease of sharpening. 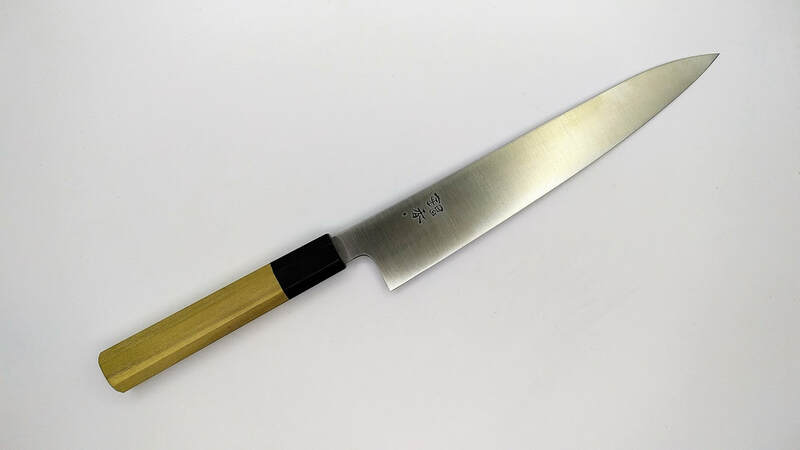 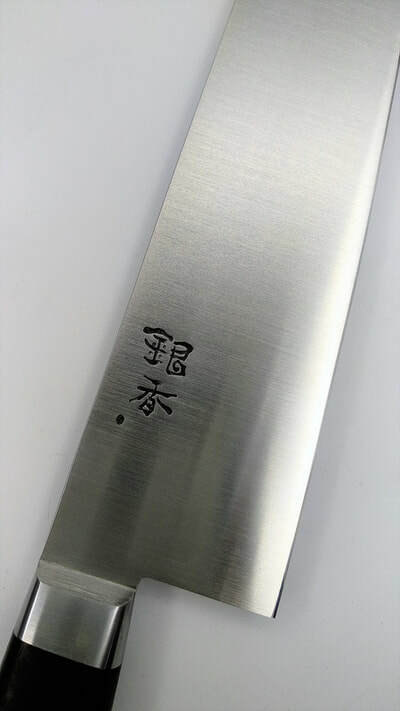 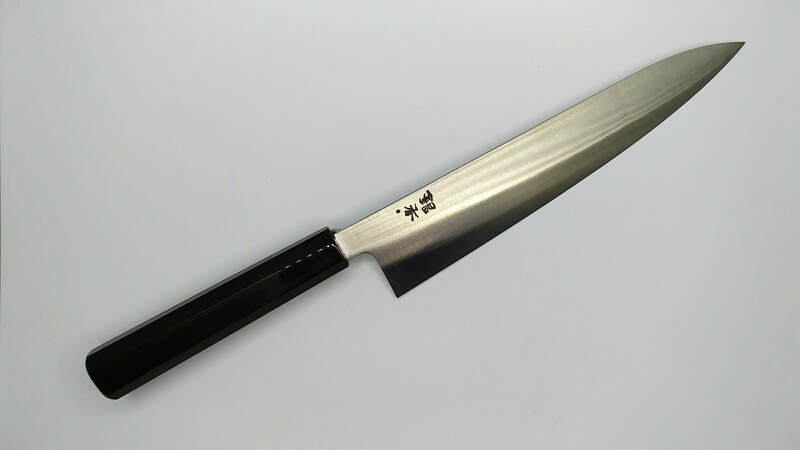 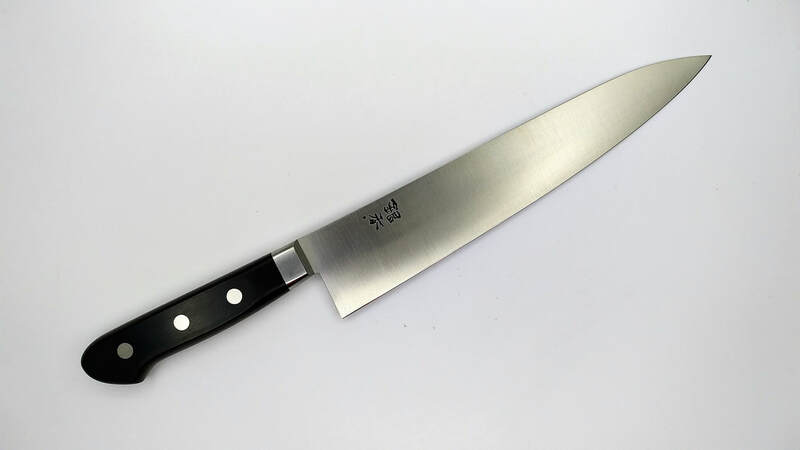 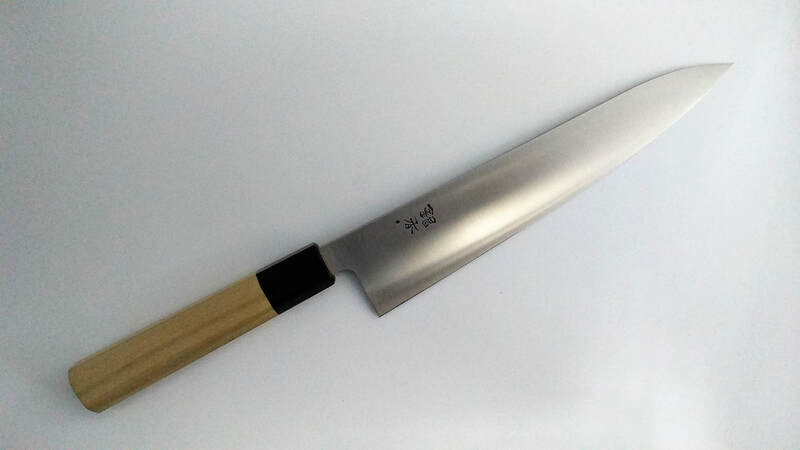 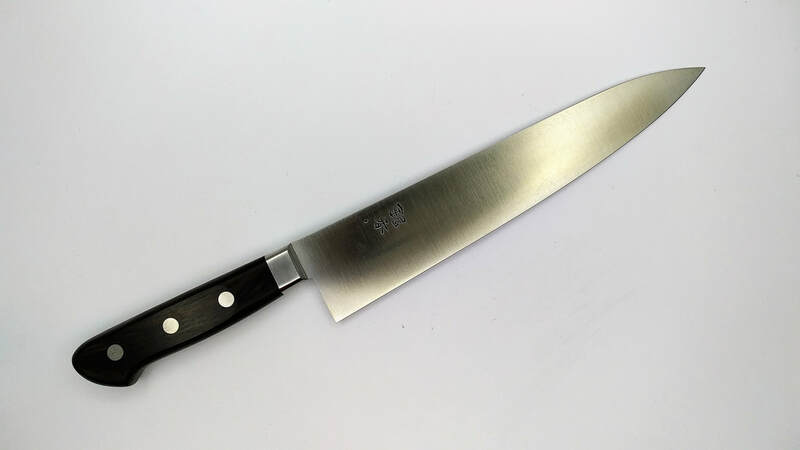 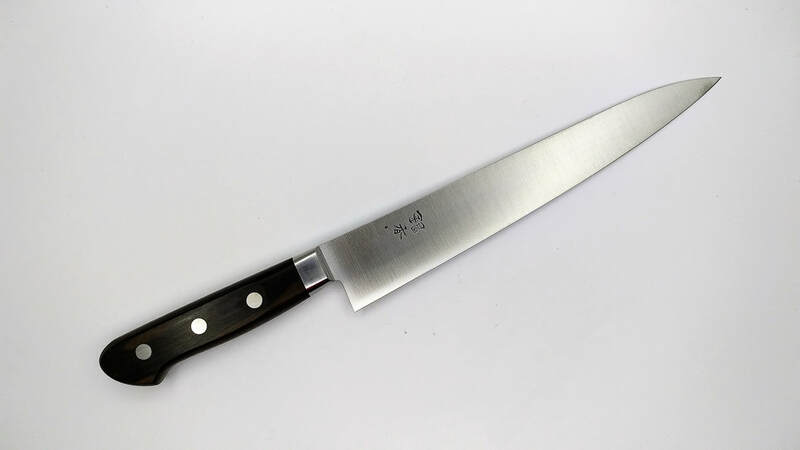 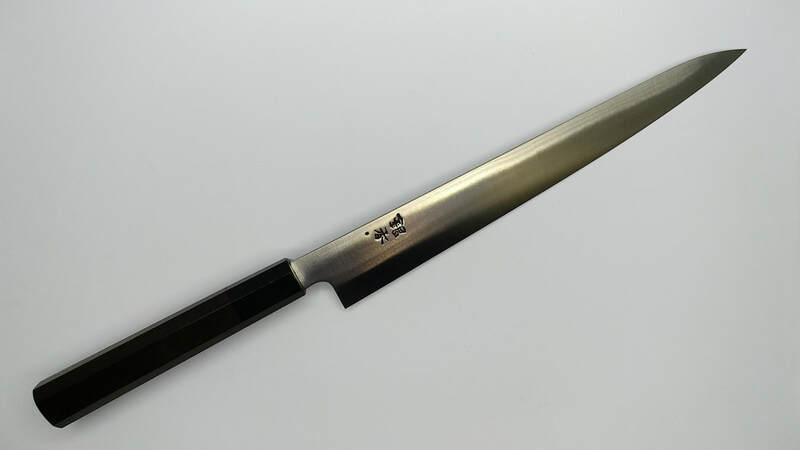 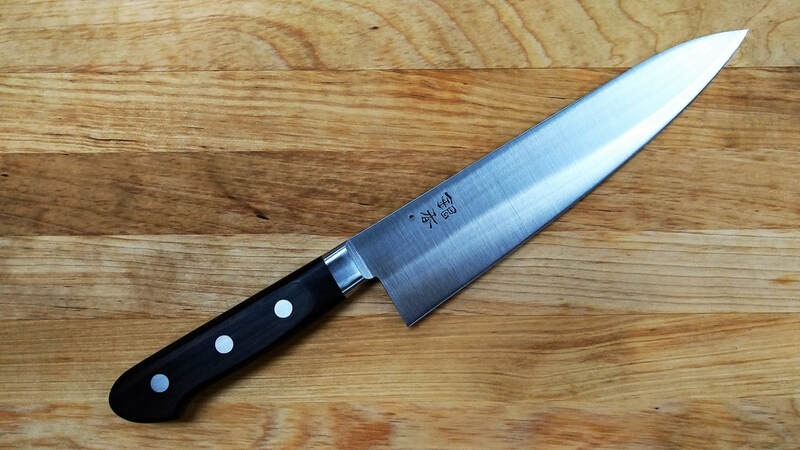 Misono UX10 series did very well on this steel, albeit those are not made by hand. 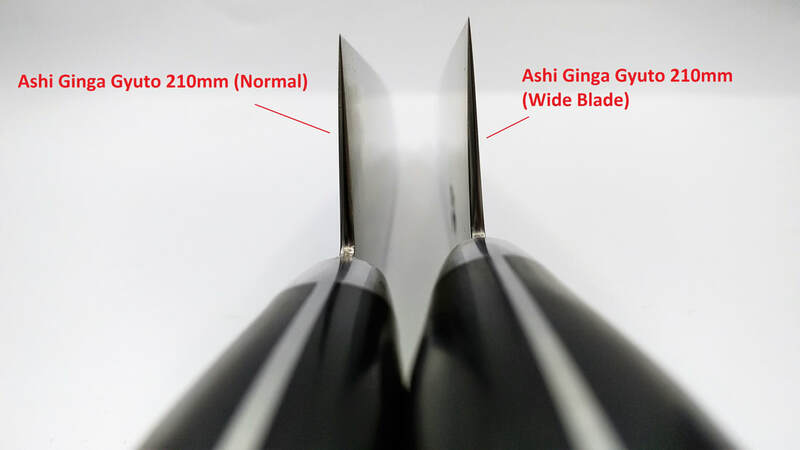 For this "Upgraded Custom Ginga" series, we worked with Ashi Hamono to tune up the edge retention, by increasing the hardness to 61 ±1 HRC as this will enhance the edge retention close to tool steel performance. 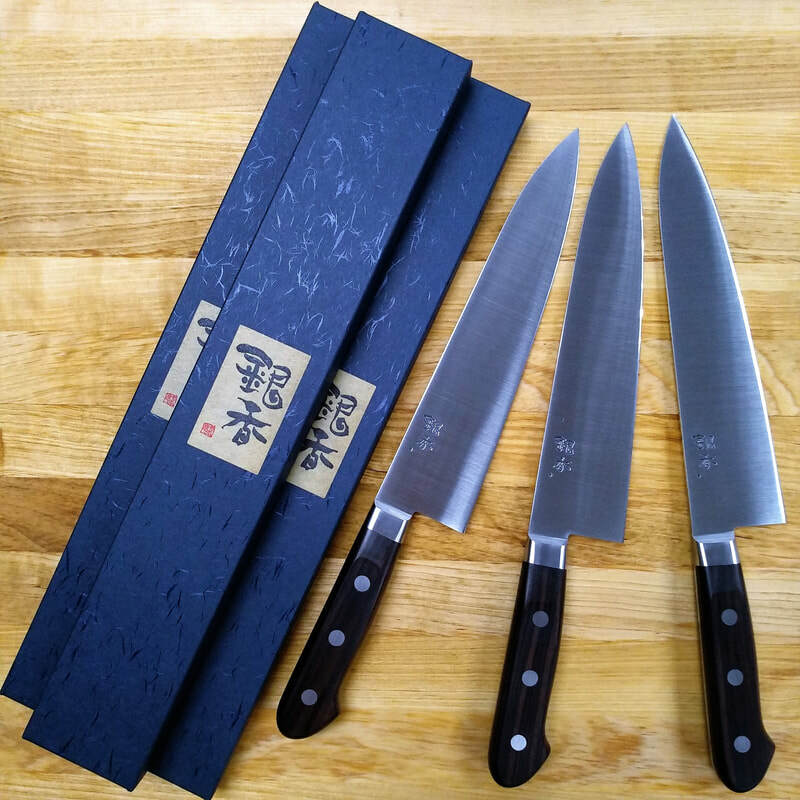 Over the years, we got to know the man better, a gentle giant (really tall for a Japanese) and didn’t give up the craft in spite of setbacks and still as committed and creative as ever and should be retired or taking it easy…... 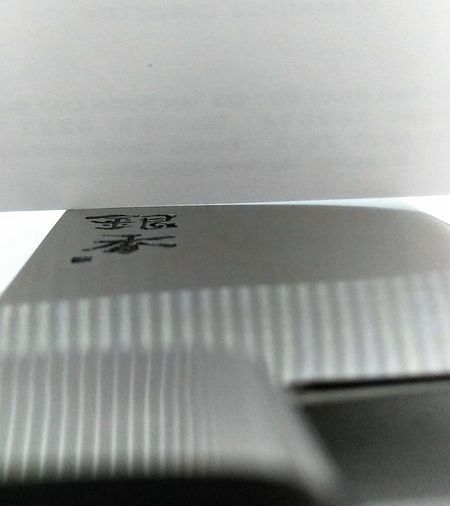 Sometimes, I am embarrassed to ask for special projects as his schedule is always tight. 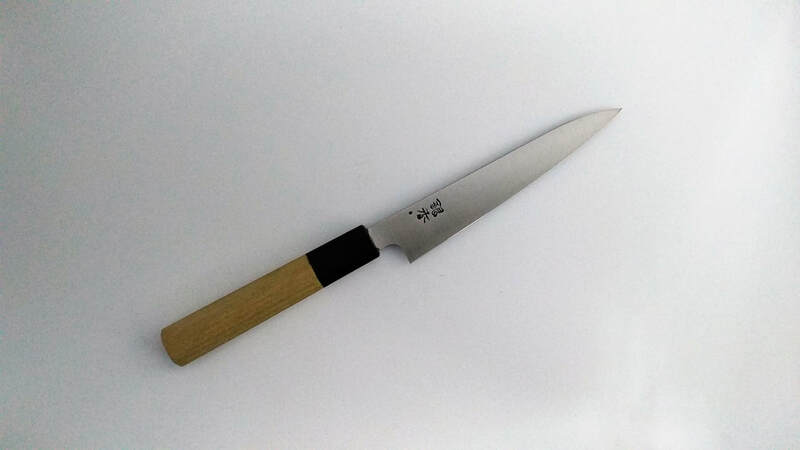 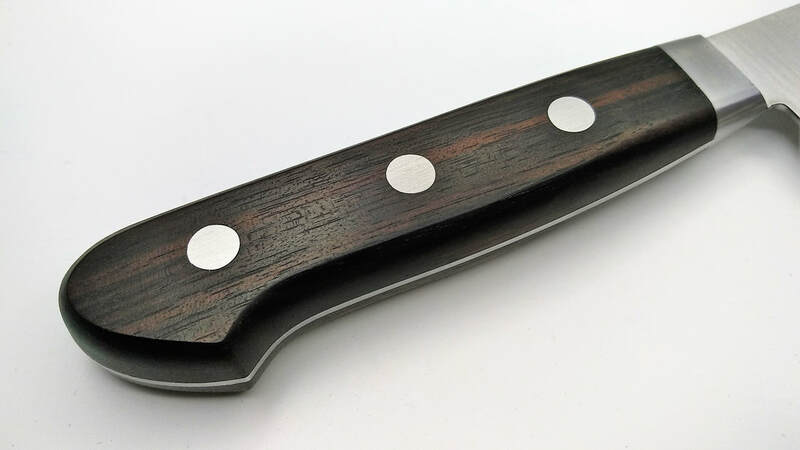 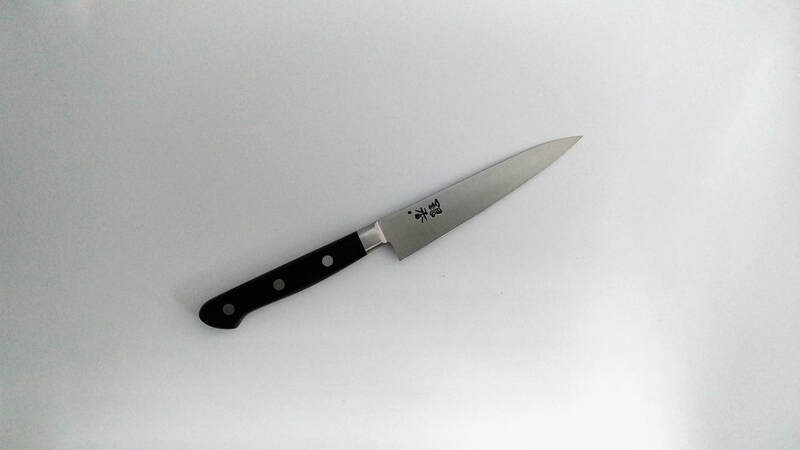 THE special project to make the best performing AEBL knife didn’t disappoint our customers. 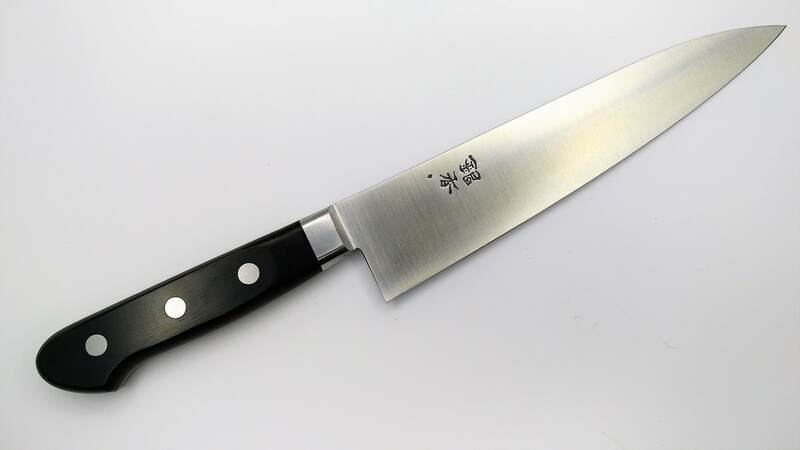 This is one of the knifes that cuts with a WOW!!! 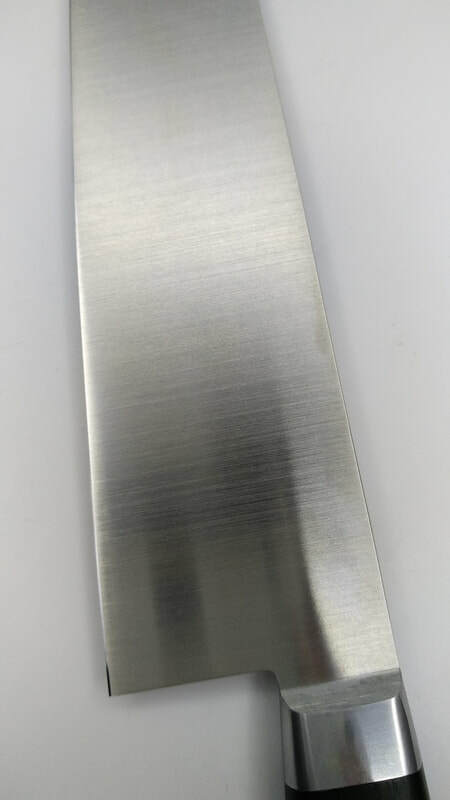 Experience and the special heat treat and annealing time rewarded customers with a very sharp knife and a long edge retention that outlasts those VG10 with 59/60 HRC very noticeably, a testament of masterclass skill at forging and a grinding for that perfect edge that cuts like thru butter!! 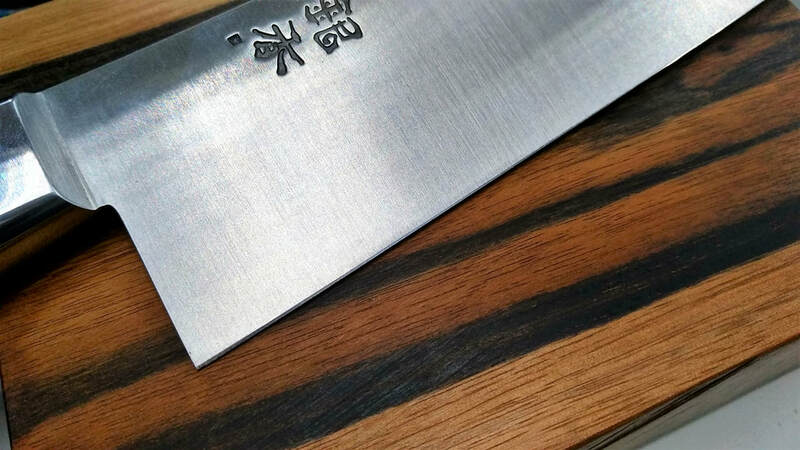 The latest Project is the SPECIAL 210mm Gyuto, EXTRA thick ( as his regular knives are lasers) and Extra Height… 48mm (as Sakai regular is only 43mm) and with special Ebony handle for this series.. 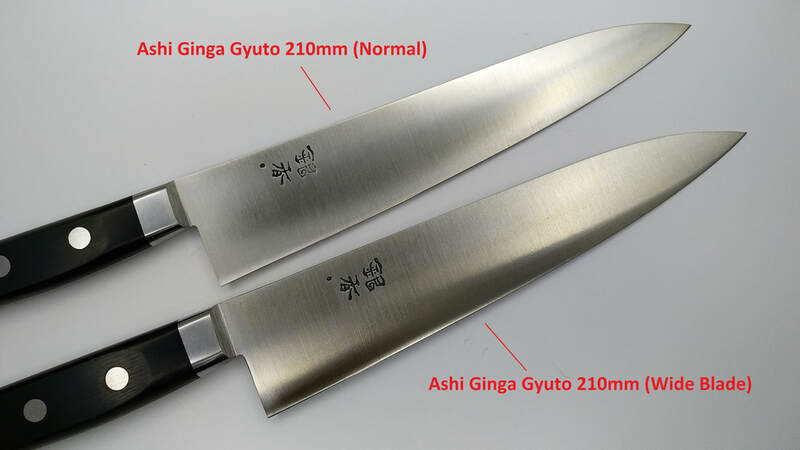 Comparing the Wide Blade version against the normal variant, shows that the blade height is taller by 3mm and it comes with a slightly larger handle to go with the taller blade.